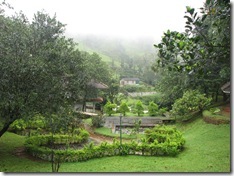 My parents are from the beautiful mountain district of Kerala – Idukki. Even though I was born in Idukki, I spent most of my life in Trivandrum and Kannur. We used to go to Idikki to visit our relatives there on every vacation. 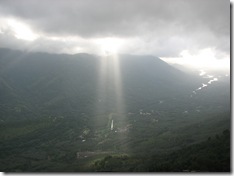 Whenever I return to Idukki, there is an overwhelming nostalgic feeling which is difficult to explain! 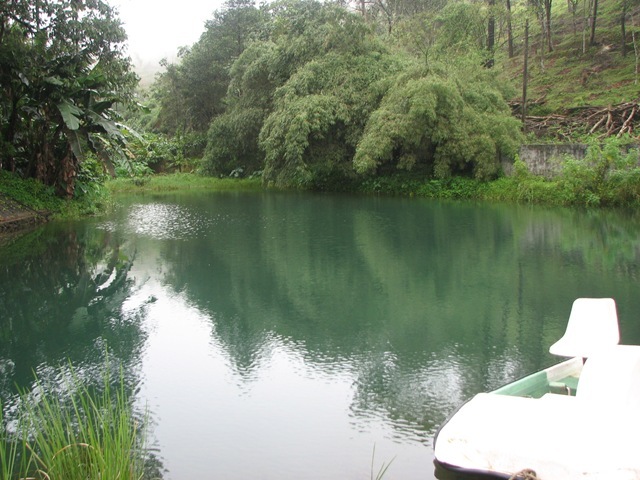 Idukki is a very beautiful place and the only place which I saw anywhere near as beautiful is the Lake District (Cumbria) in UK. 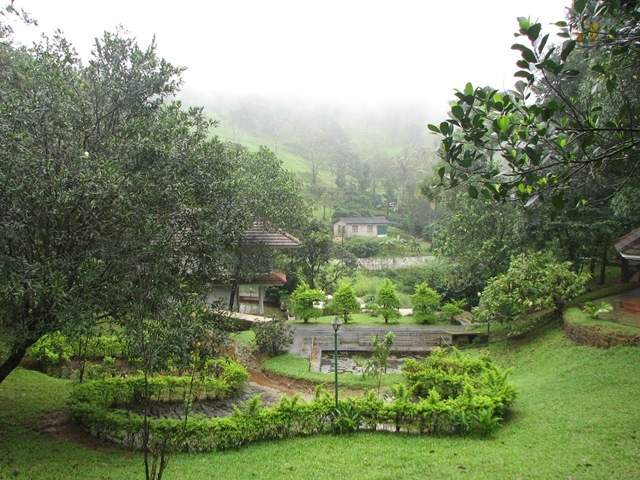 Munnar and Thekkady are well known, but there are a lot of good places still waiting to be explored in Idukki. Recently places such as Gavi and Ramakkalmedu came under the radar of international tourists and it is sure to catch up fast. Due to Onam festival, I got a couple of days off during the weekend. 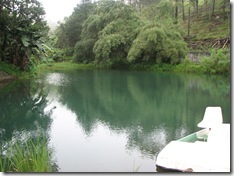 I was at home and suddenly I hit upon an idea – why don’t we spend the next two days in Idukki? Obviously my wife was not very pleased with the sudden need to pack things, but since I promised to visit her home at Thrissur after the trip she was all happy. I had heard about the Nadukani resort called "The Greenberg Resort". 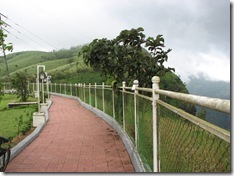 This is located on the hill top near Moolamattom on the way to Cheruthoni and Idukki dam. During the peak season the tariff is high, but since September is monsoon season, I guessed I may get a discount on the tariff. I called up the resort and the guy on the other side sounded surprised at my sudden requirement to check-in at 10PM! I told them I am starting from Trivandrum at 3PM and will reach resort by 10PM. I could hear him thinking – "is this guy nuts?" Here is a bit of advise when you are booking a resort or hotel. There are a lot of third party sites who act as a broker between you and the hotel. Avoid them and try to find the official Web site of the hotel or resort (Unfortunately not all of them has a Web site). If you deal directly with the resort, you may be able to negotiate on the tariff (during off season). Check out the official Greenberg resort Web site. There was a small lake in front of our cottage and there were pedal boats that you can use. 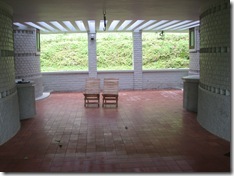 The resort is fairly well maintained and there is also a small park for children. We went for a walk around the resort and just being there was bliss. The cool wind, the mist which played hide and seek and the intermittent monsoon drizzle – it was an irresistible combination! The whole experience was unforgettable. There is a fence and a well paved road on the mountain edge. After the fence what you see is Kilometers of mountain valley visible up to Thodupuzha and beyond. You can try some mountain biking (they did have one bike, but it appears people rarely ask for it). There was a very good restaurant at Greenberg and our tour package included food also. The food was delicious and was made using local spices. They don’t serve alcohol, but I have a doubt they would have served it, if we were foreigners. On day 2, we went for a bit of trekking. As you can imagine, mountain trekking with a 2 year old kid is challenging! If you are a trekking freak, there are plenty of opportunities as the forest is nearby! You can climb up to the topmost spot and it gives you a breathtaking view of the Thodupuzha valley below. The staff at the resort was generally very helpful. You can also get the service of a guide if you plan to go on a trekking. But personally, I like to be on my own. 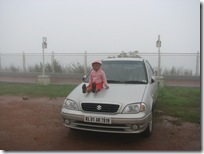 There are a lot of places to see around Greenberg (Idukki dam etc. ), but on this trip I just wanted to relax at the resort. Official Web site of Greenberg Resorts for tour packages and tariff. 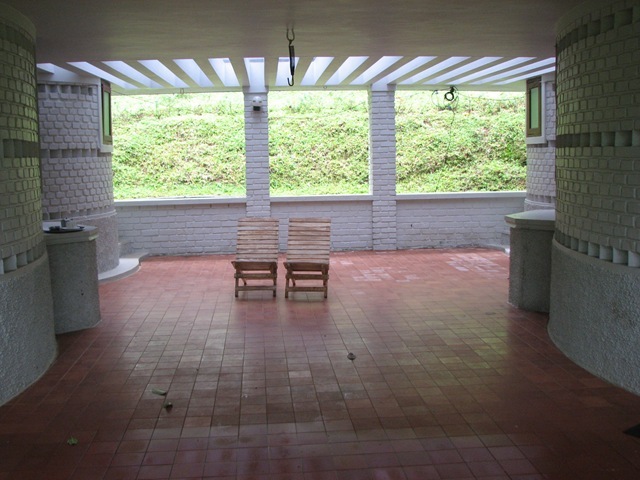 September 2011 :- It seems resort ownership has changed, however the facilities and website remains the same. Get all the details before you plan your trip. 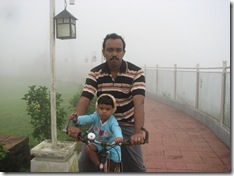 February 2009 :- The resort is no longer well maintained and I came back highly dissatisfied after my second visit. All the bicycles at the resort are punctured and they don’t seem to care. Lot of daytime visitors and hence no privacy anymore.